Today in Masonic History Nicholas Herkimer passed away in 1777. Nicholas Herkimer was an American soldier. Herkimer was born sometime around 1728 in the colony of New York. He was born near German Flatts in the Mohawk river valley. His parents were German immigrants and Herkimer could speak English, German and Iroquois. During the American Revolution, Herkimer's brother was a member of the Loyalist Militia. During the French and Indian War, Herkimer fought to defend, German Flatts. In 1758 he was made a captain in the local militia and defended German Flatts a second time. In 1764, he built a home in Little Falls, New York on the south shore of the Mohawk River. His home is now preserved as the Herkimer Home State Historic Site. In 1775, Herkimer joined the Tyron County Committee of Safety. The Committee of Safety were organizations formed just prior to the American Revolution to help represent the needs of local communities in the American colonies. It was at that same time that he became a colonel in the militia. After Loyalist Militia members fled to Canada, Herkimer was made a brigadier general in the Tyron County Militia by the Provincial Congress. In June of 1776, Herkimer led 380 men to confront Joseph Brant, also known as Thayendanegea, at Unadilla, New York. Brant was a military and political leader in the Mohawk tribe and was closely tied with Great Britain. Speaking with the Iroquois, Herkimer asked them to remain neutral. Brant insisted that the Iroquois owed allegiance to the British crown. In July of 1777, Herkimer learned of a siege at Fort Stanwix, near current day Rome, New York. Herkimer ordered his militia to organize at Fort Dayton, near the current day town of Herkimer, New York, before they made the almost 40 mile march to Fort Stanwix. 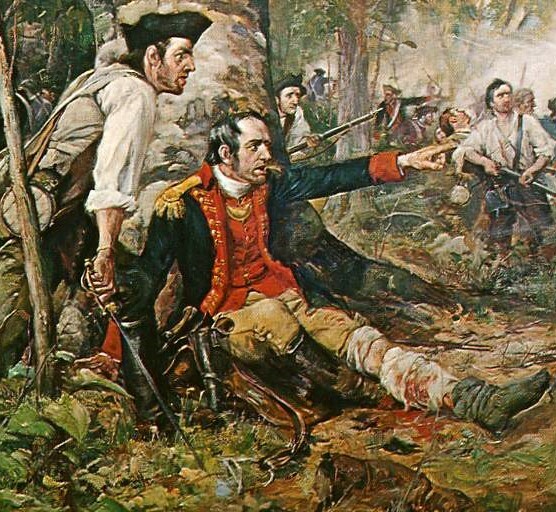 While marching to Fort Stanwix, on August 6th, Herkimer's forces were ambushed and the battle of Oriskany started. Herkimer's horse was shot out from underneath him and he was wounded in the leg. Unable to move he ordered his men to prop him up on a tree, he lit his pipe and began directing the battle. Twice he stopped his men from retreating in a panic. When the battle was over Herkimer's wound was treated on the battle field, he was placed a stretcher and carried away. An infection quickly set in and there was a 10 day delay in amputating his leg. The regular surgeon had been injured in the battle and a less experienced, and some would say in competent surgeon, performed the amputation. It was poorly done and the leg continued to bleed. Herkimer died from his wounds on August 16th, 1777. Herkimer was a member of St. Patrick's Lodge No. 8, now No. 4, in Johnstown, New York.